Invasive plants are plants introduced from another ecosystem and have the ability to thrive and spread rapidly outside their native range. 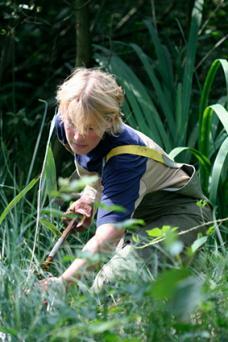 With no natural enemies, invasive plants out compete native plants for resources. Native plants can become scarcer or even extinct. Invasive plants are often intentionally introduced by humans to provide some benefit, such as erosion control, ornamental value, or food for people or animals. Other invasive plants hitchhike when plants are brought into the United States legally or illegally and escape control. All are a problem. Kudzu, multiflora rose, and tree-of-heaven are invasive plants found across the United States. 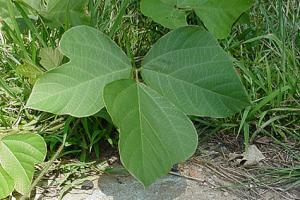 One of the most hated invasive plants in the Southern part of the United States is kudzu (Pueraria montana var. lobata). It was brought in to the United States in the late 1800s for use as an erosion control. It grows very well in both good and marginal soil. It is extremely difficult to kill as it has no natural enemies here and it is not practical to apply herbicide to all the areas it has taken over. Control involves multiple applications of herbicides over a period of three to four years to eradicate it. Clemson University has an excellent publication explaining which herbicide to use depending on the location of the kudzu. At present, whole swaths of the Southeastern United States are covered by nothing but kudzu vines. Kudzu is a widespread problem and grows from Texas to the Eastern seaboard and as far North as Connecticut. It grows all over every other species of plant and chokes them out. This rose was introduced from Asia in the 1700s as an ornamental plant, for erosion control, and as a living fence. It forms dense thickets that invade pastures and crowd out native species. It is also a source of rose rosette disease, which kills ornamental roses in gardens. It is so integrated in the wild now that many people do not realize it was an introduced species and refer to it as "wild rose." It can be controlled by first mowing the bramble down then spot treating any parts that grow back with a product containing glyphosate. Be careful to only get this product on the brambles as it will kill practically any plant it touches. 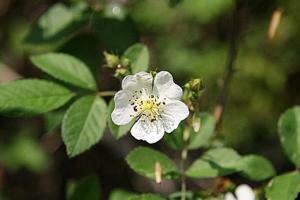 Multiflora rose lives in most zones in the US and Canada. The tree-of-heaven was introduced as an ornamental tree in the 1700s from China. It spreads and crowds out native vegetation. In urban areas, it damages sidewalks and foundations with its roots. To control the tree-of-heaven you must remove it completely, which is difficult because of its long tap root. Alternatively, you may cut it down and paint the stump with glyphosate. This should be done in the summer for best control. 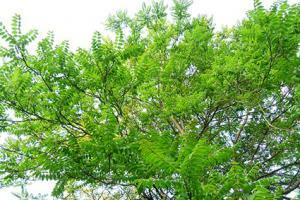 The tree-of-heaven lives in most zones of the United States. Many factors affect which chemical you use to kill water weeds; check out Texas A&M's AgriLife Extension website for information on controlling giant salvinia, hydrilla, and water hyacinth. 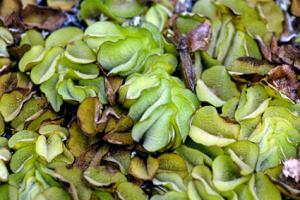 This floating aquatic plant was introduced in the 1990s by the horticulture trade. In other words, someone brought some in for their pond and it escaped and became a problem. It can completely cover the surface of a pond, crowding out all other plants and providing an impenetrable barrier to sunlight. It also reduces oxygen levels in the water, impacting aquatic life such as fish. Giant salvinia grows in USDA zones 8 to 10. 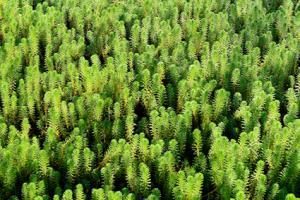 Hydrilla was introduced in the 1950s from Asia for the aquarium trade. It crowds out native species and impedes boating and irrigation by clogging waterways. It is listed as a federal noxious weed which makes it illegal to have or transport without a permit. Hydrilla grows in a variety of zones all over the major waterways of the United States. Water hyacinth was introduced into the United States in 1884 from Brazil as an ornamental species. It forms dense mats that crowd out native species, impede boating and irrigation, and reduces the oxygen in ponds available for aquatic life. 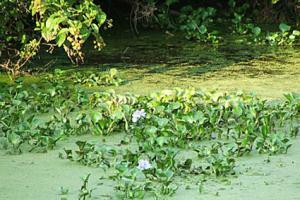 Water hyacinth lives in most zones in the United States and a large part of Canada. The first line of defense against invasive species is you. Do not plant any species that is invasive. Eradicate any invasive species on your property. Managing invasive plants is difficult because they have no natural enemies in this country. There are generally three management techniques that are used to eradicate invasives. Cultural controls can be as simple as mowing the pasture regularly to eliminate the brambles of a multiflora rose. Special boats go into the water and harvest water hyacinth to get it out of ponds and lakes. Some plants, such as the tree-of-heaven, are individually harvested. Unfortunately, cultural controls are rarely enough. They are usually paired with chemical controls. Since an invasive plant has no natural enemies in the United States, sometimes natural enemies from its place of origin are imported to combat it. However, this has to be done very carefully or a worse problem might be created. Only organisms that feed exclusively on the invasive species can be brought in. They cannot displace native organisms or feed on native species. This type of control is done only after much research and with many permits required. Unfortunately, the ultimate control of many invasives is chemical. Herbicides are sprayed on the invasive plant to kill it. Both the USDA and many states have invasive species units that spend a lot of time and money figuring out the best chemicals to use to eradicate invasive species. The federal government maintains a website dedicated to invasive plants, aquatic life, and animals. It is called the National Invasive Species Information Center. It has information on many of the invasive species in the United States and directs the viewer to further resources. The USDA Forest Service also has an informational website on invasive species. In addition, many states have their own invasive species websites. Check out your state's Department of Natural Resources website, government website, or visit the links for the Fish and Wildlife Offices for your state to find out more. Invasive species do not arrive on their own. They are usually brought by humans for some reason. A few hitch rides with other plants that are intentionally being brought in. The best tool against invasive species is an informed landowner who does not plant them and eradicates any that are present. Do not grow them in your flower or vegetable gardens or your ponds even if they are beautiful. Their potential for harm far outweighs their beauty.